When I heard Emily’s story, I was floored. I would never have guessed that a woman as vibrant, passionate, and expressive as her had struggled so much. It never ceases to amaze me that each one of us has lived through things that others could only imagine. But here’s the thing. When we share our stories, we don’t need to imagine anymore. Instead, we connect more deeply. We see ourselves in each other. We sense our common humanity. We begin to feel less alone, and together, we rise. How do we allow our stories to transform us? In such a practical world, how can we begin to trust our imagination? What happens when we manage to do that? And Emily drops a nugget of wisdom that inspires me and gets me back in my groove anytime I’m struggling to know the answers to the big questions. When you don’t know what to do or what to say, her advice will open your creativity right up. Take a listen, and let me know what stood out for you in the comments below. 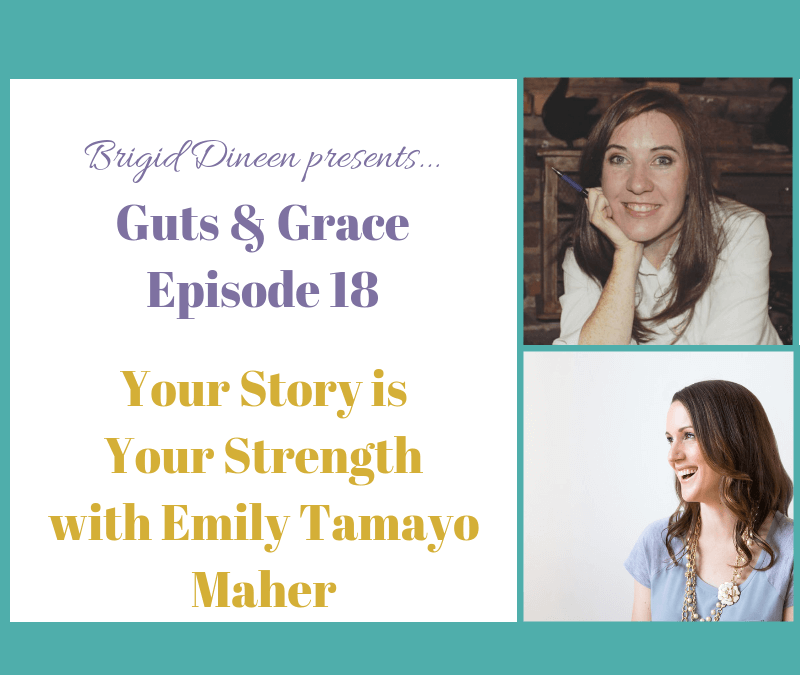 Emily Tamayo Maher is a writing coach and award-winning author. She helps coaches, entrepreneurs and fiction authorpreneurs turn their own life-changing stories into books. She’s also certified in energy work to help bust through creative blocks. Her clients have written memoirs, personal development, self-help, and fiction. As a consummate adventurer and expatriate, she’s made her life in Bogotá, Colombia with her husband Mauricio and son Martín. Check out Emily’s Facebook group for authorpreneurs.